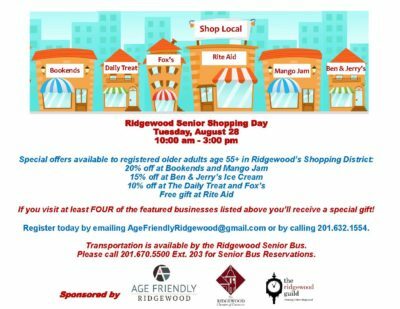 For additional events please see our Facebook page. 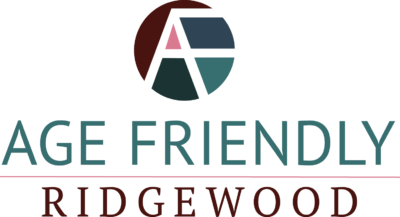 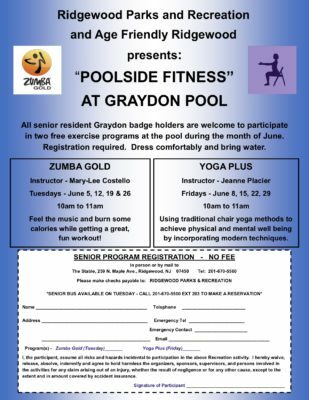 Graydon Pool, 259 N. Maple Ave.
Old Paramus Reformed Church, 660 E. Glen Ave.
Join us for a Universal Design Forum with Tom Yotka, Ridgewood's Director of Buildings and Inspections. 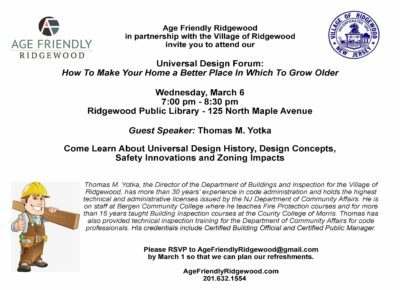 Learn about Universal Design and how to make your home a better place in which to grow old. 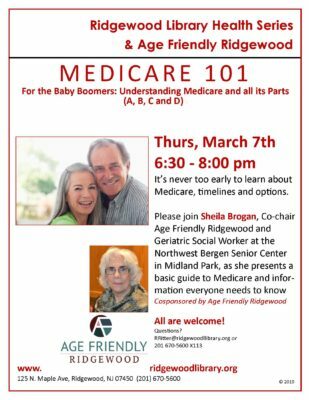 Join us for Medicare 101 for the Baby Boomers: Understanding Medicare and all its Parts (A, B, C and D) presented by Sheila Brogan, LSW, ACSW. 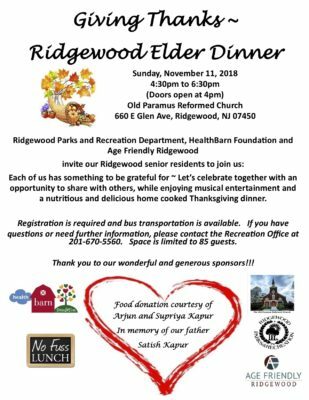 Elder Law. 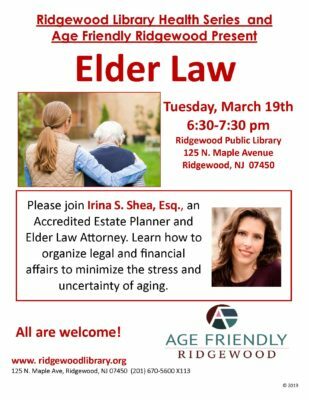 Understanding and organizing your legal and financial affairs with Irina Shea, Esq.